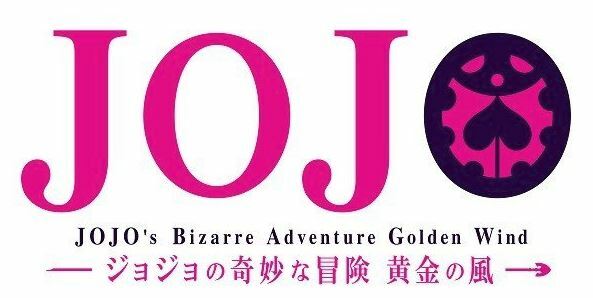 Manga creator Hirohiko Araki revealed on June 21, 2018 that JoJo’s Bizarre Adventure: Golden Wind (JoJo no Kimyō na Bōken: Ōgon no Kaze) will get an anime adaptation in October. The anime’s first episode is set to screen at the Anyerri Hall in Tokyo and Japan Expo in Paris, France on July 5, 2018. The same episode is also set to screen at Anime Expo on July 7, 2018. Yasuhiro Kimura and Hideya Takahashi are the anime’s directors at David Production, with Naokatsu Tsuda as chief director. Yasuko Kobayashi is returning for the anime’s series composition. Takahiro Kishida is the character designer. Shun’ichi Ishimoto is the animation director, and Takahito Katayama is the action animation director and Stand designer. Other staffs include Yukitoshi Hōtani as the prop designer. Reeki Taki, Junko Nagasawa, and Kaoru Aoki are credited for art setting. Yuuko Satou is the color key artist. Shunichiro Yoshihara and Megumi Kato are the art directors. Kazuhiro Yamada is the director of photography. Kiyoshi Hiroshi is the editor. Yoshikazu Iwanami is the sound director, and Yuugo Kanno is the music composer. 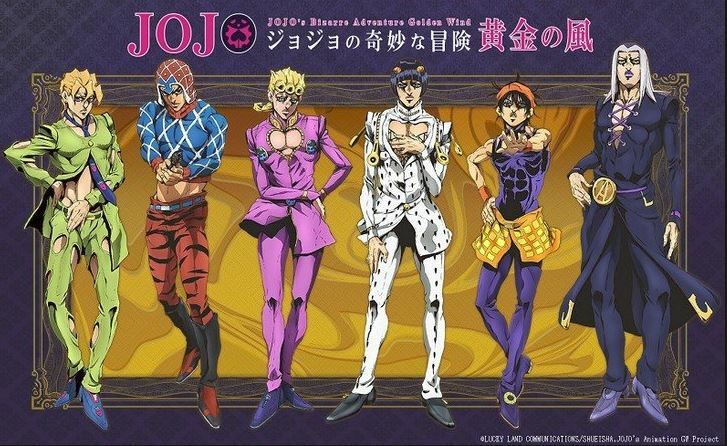 JoJo’s Bizarre Adventure: Golden Wind is the fifth story arc of the JoJo’s Bizarre Adventure manga series, written and illustrated by Hirohiko Araki. The story focuses on Giorno Giovanna’s goal to rise to the top of the Passione mafia, and turn it into a group of honorable thieves. This is a continuation of the previous JoJo’s Bizarre Adventure manga entries.